TV commercial for the season opener autumn 29.8. Bindlach, August 8, 2018. The German textile company NKD starts the autumn season with a large-scale 360° campaign. For the campaign NKD emits another TV commercial. The focus is on the highlight quilted jacket, which impresses with eight colours for every occasion and a sensational price. Dream jackets at top prices: Under the motto “Jackets to fall in love with” the textile specialist from Upper Franconia opens the fall season and appeals to modern women with a high price awareness. In the foreground of the wide-ranging campaign is the highlight quilted jacket at a special price of € 15.99 instead of previous € 29.99. As of August 30, the models will be available in all NKD stores and online at NKD.com. The trendy quilted design convinces with a glossy look and a light, comfortable fit. The colour palette ranges from brick red over pastel pink to petrol green. In addition, suitable complementary products such as trousers, sweaters and accessories are offered. Nationwide, TV spots on selected channels support the campaign. “Following the successful launch in the spring of 2018, we are once again relying on TV as a long-range channel. The NKD brand is future-oriented and strategically placed in the cross-media campaign to increase its brand awareness. 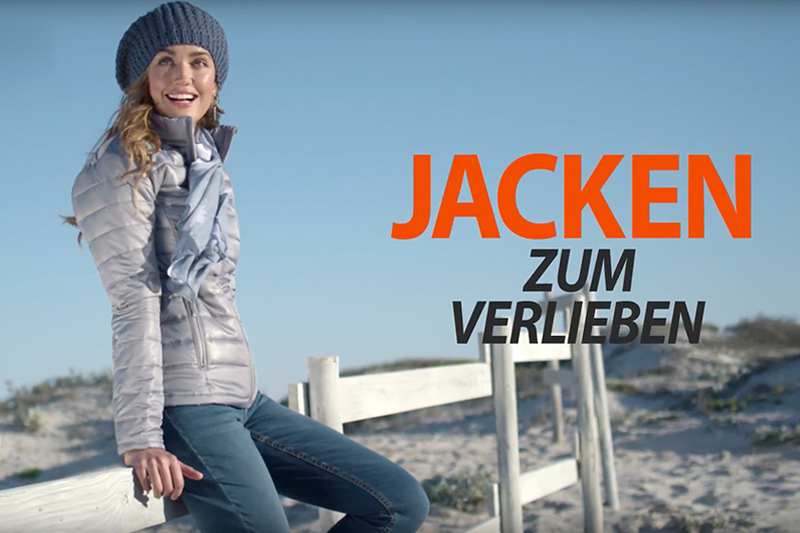 The very attractive and attractively priced product quilted jacket is the kick-off for further topic-specific offers in the following weeks”, says Dr. Ulrich Hanfeld, CEO of the NKD Group of companies. In addition to the TV commercial, numerous measures accompany the campaign: cross-media cooperation in women’s-, daily- and people’s media, weekly advertisements and sweepstakes provide a wide range of attention. The sale of the quilted jackets is flanked with radio spots. At the POS, customer attention in the stores is directed to the extraordinary campaign through specially staged sales areas. Online newsletters in the “Shop the Look” design, videos and animated banners point to the jackets. Numerous PR measures complete the campaign.